What you need to know about Arena of Valor news, patch notes, new heroes, and more. In Arena of Valor, 5v5 is an important mode within the Battle Modes. You must first become familiar with its map if you want to succeed. What is most important in 5v5 matchups Let's take a look. 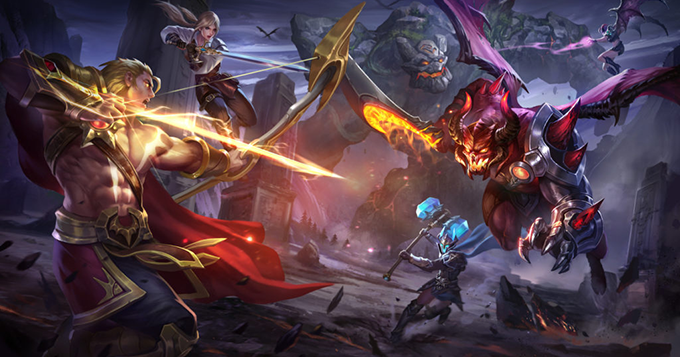 In Arena of Valor, 3v3 is a mode that really tests coordination within teams. As the name suggests, in 3v3 each side has 3 players. This requires high levels of teamwork and familiarity with map properties. Let's talk about some things to take note of in 3v3 next. When you first arrive on the battlefield, do you feel unfamiliar with everything? Want to go through the ranks and become a Master? The answers to all these questions can be found in the Training Camp. Whether you’re a seasoned MOBA gamer or a newcomer to the world of battle arenas, it’s always good to brush up on some of our gameplay basics. This guide will instruct you on how to improve your strategy, so pay close attention so you can easily obtain victory in battle!